“Don’t be fooled by the rocks that I got. I’m still, I’m still Jenny from the block.” These lyrics might be from 2002, but they still hold true. Considering she’s been a style icon for literally decades, it’s easy to believe that all of Jennifer Lopez’s clothes and accessories would be crazy expensive or all haute couture. But we’re about to reveal the truth. These Prive Revaux “The G.O.A.T” Polarized Sunglasses are available at Walmart, and they are the exact same ones that J.Lo herself owns and wears out! And she’s not the only one. Her beau, Alex Rodriguez, former baseball heartthrob, owns the exact same pair! The unisex style is a simple step to helping anyone stun in shades like a celebrity, including celebs themselves! We couldn’t believe this deal when we saw it. 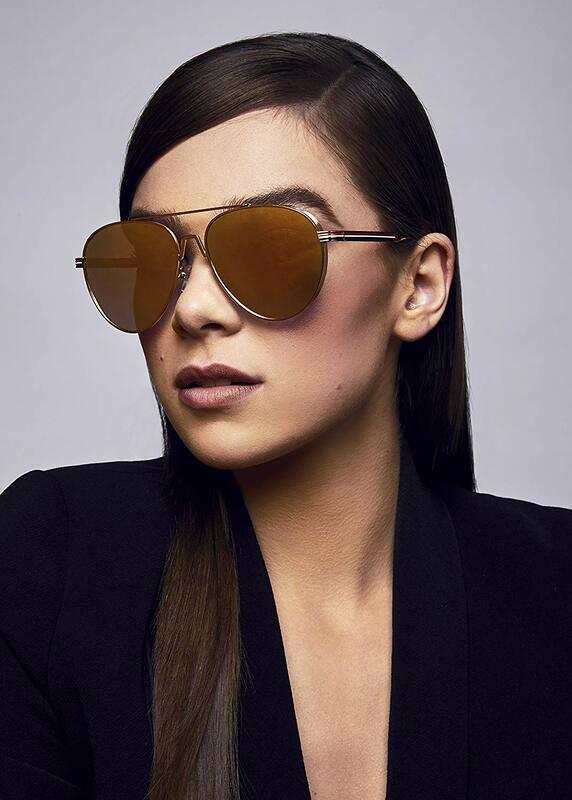 We already thought these sunnies were chic, but knowing how many stars own Prive Revauxs, we feel like we just found the best-kept secret in Hollywood. See it: Get the limited edition Prive Revaux “The G.O.A.T.” Polarized Sunglasses for just $26 at Walmart! G.O.A.T. stands for “Greatest Of All Time,” and we can see why these shades have earned their name. They’re constructed of pure nickel and silver anodized alloys, which are corrosion-resistant for long-lasting wear. The frames work with any face shape: oval, heart, diamond — it doesn’t matter. The modern aviator style is made to flatter. Apart from their upscale look, these sunglasses will have your eyes looking good and seeing well. They have 100% UVA/UVB protection and the lenses are polarized to “reduce reflections and enhance contrast, improving visual clarity and reducing eye strain.” No point in having stylish sunglasses if we can’t actually see ourselves in them! These do the very important job of making sure the sun functions as our spotlight, not our bitter enemy. The lenses themselves are grey gradient, “virtually indestructible” TAC lenses. Darker toward the top, they fade flawlessly as the frame narrows toward the bottom. We’re big fans of little details like this. Hardware-wise, there are reinforced metal hinges on these sunnies for “maximum comfort and fit,” as well as durability. There are also laser-engraved logos hiding around so we can prove to our friends that yes, we do own the same shades as J.Lo, when they try to call us out. Lopez and Rodriguez aren’t who only celebs who love Prive Revaux! Ashley Benson, Jamie Foxx, Hailee Steinfeld and Gwen Stefani are on the long list as well. A big price tag doesn’t always equal unmatched quality, and the fact that these are a star-favorite proves it. Other shoppers who have found these G.O.A.T. sunglasses are loving owning such a “head-turning style.” One said that even though they thought the shades would be a “daring choice,” they ended up thrilled with how they looked in them. Another revealed that they “get stopped regularly” by strangers who want to know exactly where they found the unique accessory. Psst, it’s Walmart! Many others couldn’t believe the high quality of the sunnies when they’re at such a low price point. We’re always drooling over sunglasses that cost hundreds of dollars, but these Prive Revauxs were right under our noses the whole time for a beautiful, gorgeous $26. You’re doing great, sweetie. Sorry, we were talking to the shades. Yes! Front of the line, here we come! Nothing like some strong statement sunnies to bring Us unmatched confidence and the sleekest look in town. Move over, J.Lo! Okay, don’t move over that far. Just make some room for Us at the top. We really like how both Lopez and Rodriguez wear these sunglasses together. It’s a simple couple look that isn’t obnoxious to others. The unisex style is great, too, for pairing with any sort of outfit, whether it be a sundress or a fancy suit. Just as they fit with any face shape, they fit with any style! Having a matching pair with a best friend is totally just as cute! That’s it, it’s official. Sunglasses are the new friendship bracelet. Case closed. See it: Get the limited edition Prive Revaux “The G.O.A.T.” Polarized Sunglasses for just $26 at Walmart! Not your style? Check out other Prive Revaux sunglasses from Walmart here!